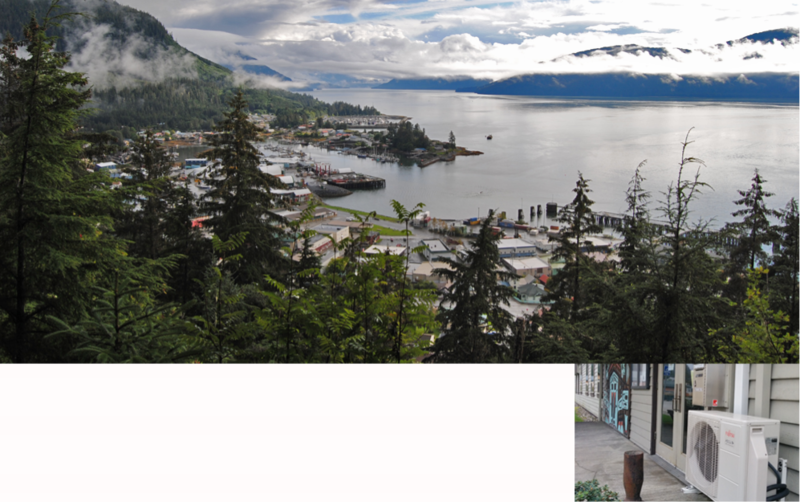 We're also testing the efficiency and cost of air source heat pumps in Southeast Alaska, working with Wrangell Municipal Light and Power and the University of Alaska Fairbanks. Whereas ground source heat pumps harvest energy from inside the earth, air source heat pumps take energy from the outside air and transfer it into a home. ASHPs can actually extract "heat" from sub-zero air, using electricity to amplify the heat before distributing it to the house.